For Talline, the United States represents her home and a place where she can be anything she wants to be as long as she is willing to pursue it. 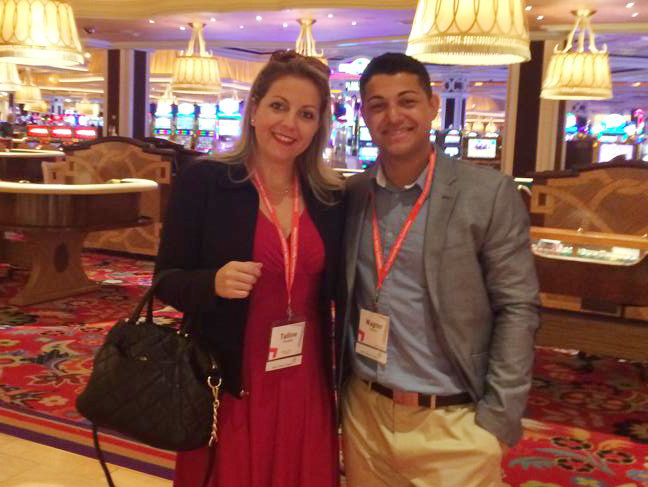 Talline Carvalho, a Brazilian business owner in the insurance industry, is Tribuna’s interviewee for the American Dream profile in this issue. Born in Criciuma, Santa Catarina, she has been living in the United States since 2003, when she decided to come alone at age 21 looking for a better life. The plan was to come, save some money and return to Brazil. Today, as an U.S. citizen, Carvalho talks about life in the country that embraced her and shares her thoughts on the current fear and distress afflicting the undocumented immigrant population. After leaving Brazil, she faced her first challenge upon her arrival here. “A friend was supposed to pick me up at the airport, but she simply didn’t come. And I didn’t know anybody else here. I soon remembered an acquaintance that had a brother residing here, and I called her asking desperately for help. Her brother picked me up at the airport and I lived in his house in Hartford for about 20 days. Later on, I moved to Naugatuck, where I am still living until today,” she recalls, laughing. Away from her family and not knowing anyone, Carvalho’s first year in the United States was not an easy one. “What hurt me the most was that I missed my family. Having to make decisions on my own, with no friends, and not being able to speak the language were extremely difficult situations. When I first came to this country all I thought to do was to work, save money and return to Brazil. That was my plan,” she emphasized. After four months, Carvalho decided to study English. She could hardly communicate and she believed that by investing in learning the language doors would be open in the near future. In celebration of the Independence Day of Brazil, Carvalho was nominated as Mayor of Waterbury for the Day in 2013. She was nominated by members of the Brazilian community to represent the country. “It was an extraordinary experience and a victory for the entire community. All of us Brazilians were being paid tribute at that solemn moment. It was deeply touching to see Brazil being recognized. I am very proud of my country of origin,” she said. Carvalho mentions an important point: the need to check information before sharing it to prevent causing panic in the community.